Bangabandhu Satellite-1 Mission at Cape Canaveral, USA. Image from Flickr via Official SpaceX Photos. Public domain. At 4:14 p.m. Eastern Daylight Time (EDT) on May 11, 2018, Bangabandhu-1 , Bangladesh’s first geostationary communications satellite, was launched into space from Cape Canaveral, Florida in the United States. It marked a key milestone for the country and was celebrated throughout Bangladesh. Bangabandhu-1, named after the nickname of Sheikh Mujibur Rahman , founding father of Bangladesh, was launched into its orbital slot  on 119.1 degrees east longitude. The satellite's mission is expected to last at least 15 years. 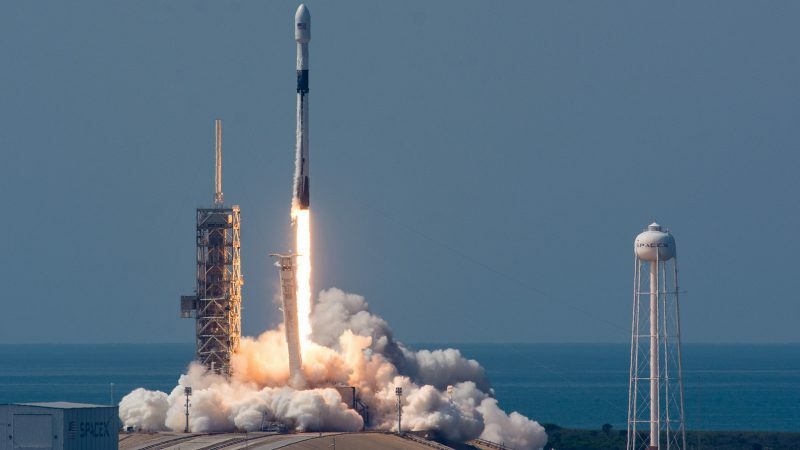 The launch was originally planned for May 10 and postponed  to take place the following day after an error was found just a minute before launch. A delegation of Bangladeshi officials, led by State Minister for Telecommunications and Post, Tarana Halim, arrived in Florida  on Tuesday to witness the successful launch. Work began on the 7,700-pound (3,700-kilogram) satellite back in 2015, when it was ordered from France-based Thales Alenia Space  by the Bangladesh Telecommunication Regulatory Commission . Bangabandhu-1 will provide  satellite television, internet access, and emergency communication services, as well as broadband to rural areas in Bangladesh, and will be operated by the newly-formed state-owned company the Bangladesh Communication Satellite Company Ltd,  after having been led by the Bangladesh Telecommunication Regulatory Committee (the BTRC) up until this point. According to the Dhaka Tribune , Bangladesh’s annual expenditure for satellite connectivity is currently 14 million USD spent on renting bandwidth from foreign operators. It is predicted that with the launch of Bangabandhu-1, this cost will significantly decrease. The satellite will offer Ku-band coverage over Bangladesh  and its territorial waters in the Bay of Bengal, India, Nepal, Bhutan, Sri Lanka, the Philippines, and Indonesia. We #Bangladeshi  don't want to waste money for #satellite . Local groundstations successfully receive test signal from #Bangabandhu1  satellite. This is a huge achievement of #Bangladesh  under the Bold Leadership of HPM #SheikhHasina .